Cocoa is a tropical plant whose fruit is round elongated when it is ripe brownish yellow with a number of seeds inside which are protected by white coated seeds which are then dried and produce a processed product called chocolate. 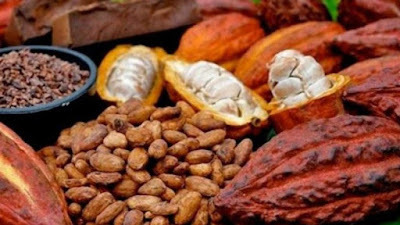 Cocoa beans are the main ingredients for making cocoa powder, cocoa powder is the ingredient in making cakes, ice cream, snacks, milk, and others. In the daily language of society we call it chocolate. Character of chocolate flavor is tasty, with a distinctive aroma so liked by many people, especially kids and teens.